At HM Manufacturing, for products that require a tooth form configuration, we use our state of the art hobbing machines. The angle between the hob's spindle (axis) and the work piece's spindle varies, depending on the type of product being produced. Due to the shape of the hob, several cutting edges will be working simultaneously, which provide potential for fast cutting speeds and/or short cycle times, which leads to fast production. 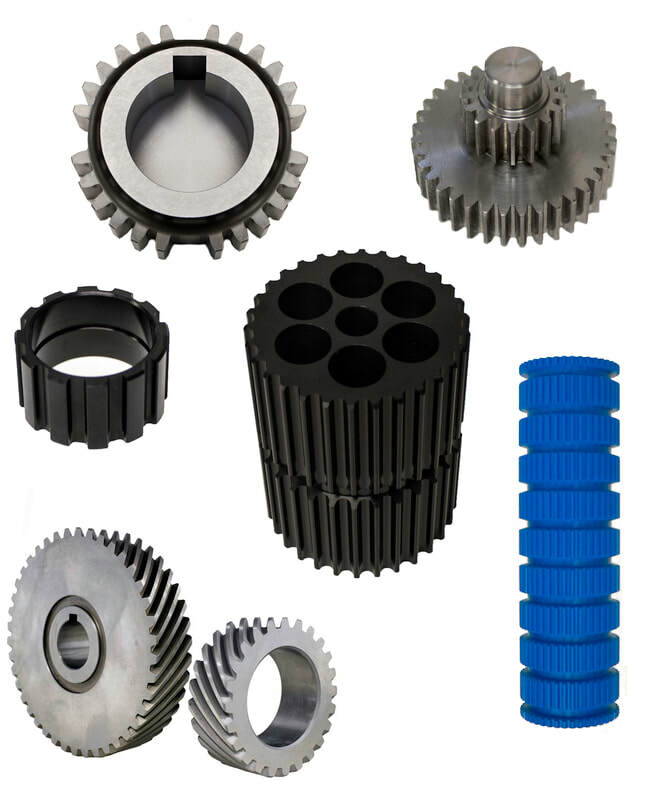 Gear hobbing is one of our specialties, for cutting splines, gears and timing belt pulleys. With our high end CNC Hobbers we have the ability to hob a part between 1/2” diameter to 24” diameter, as well as hob a part up to 18 inches in length, which allows us to manufacture parts for a variety of different projects. In our facility we only use Class A&AA hobs which supports high precision, tight tolerances and produces a fine surface finish. HM uses coolant only to hob, which achieves better chip breaks and longer tool life for high speed cutting. Compared to other gear cutting techniques, hobbing is rather inexpensive, yet extremely accurate. At HM, it is our priority to provide the best quality product for our customers, which is why we have CNC gear inspection systems to check accuracy of all tooth cutting operations. Contact us today for information and inquires about our hobbing services.